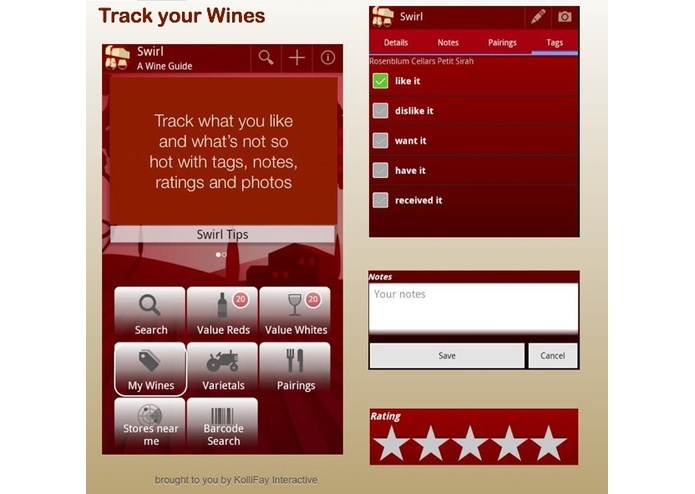 Synchronize your Wines on Multiple Devices Swirl lets you tag your wines with tags like “Like it”, “Want it”, “Received it”, etc. 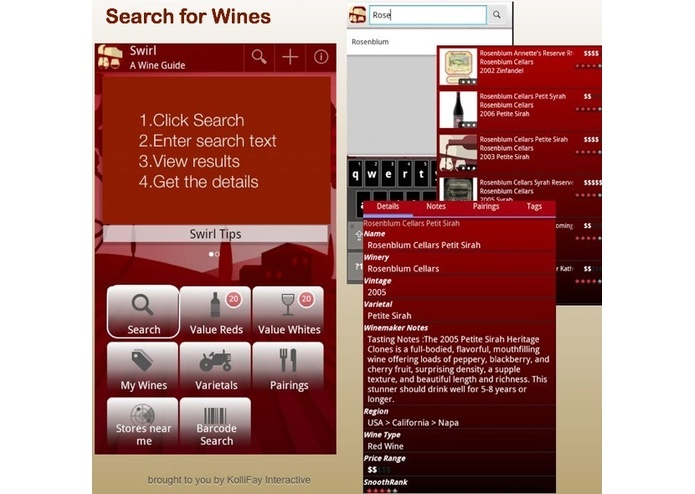 You can synchronize all of your wines to Evernote, or only those with specific tags. 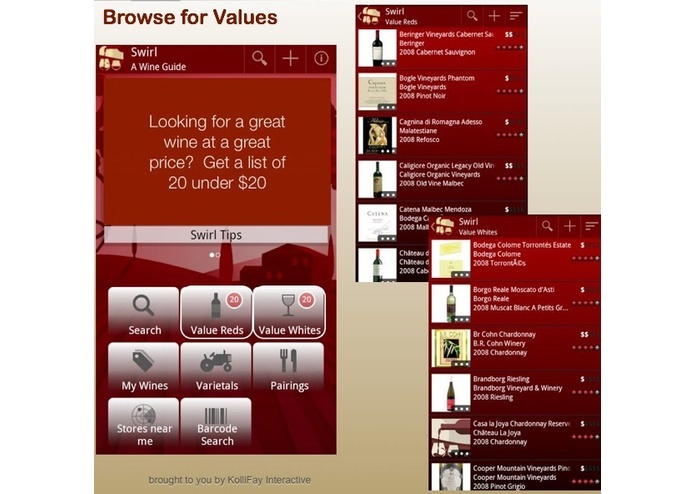 Edit Anywhere Swirl’s integration with Evernote gives users the flexibility to access and edit information about their wines from anywhere. 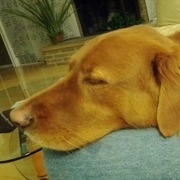 When multiple mobile devices are set up to link to the same Evernote account, any changes made by one device will be shared with the other connected devices. In addition, any changes made in Evernote will be synchronized with all connected devices. Create a Community When multiple users link to the same Evernote account, you can see the likes and dislikes of an entire group. 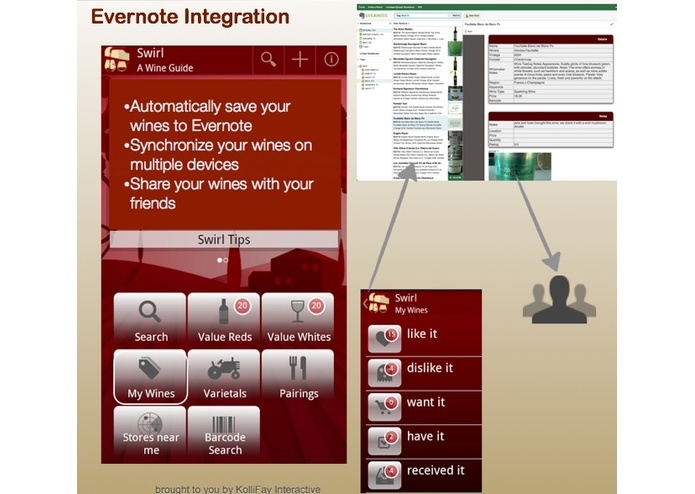 Peace of Mind Swirl automatically backs up your wines, and all changes, to Evernote. If you lose your phone, rest assured that you can restore your wines on your new device. 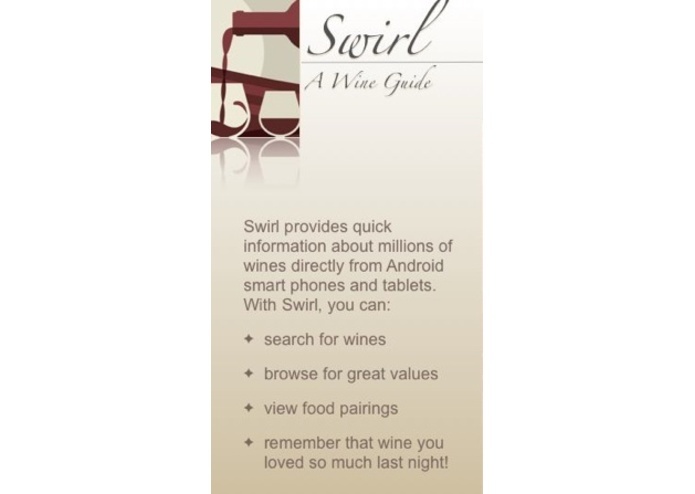 Swirl first hit the market in 2010, has more than 150,000 users, and continues to receive great feedback. Swirl is brought to you by KolliFay Interactive. Send an email to info@kollifay.com for more information. 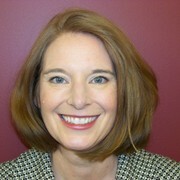 More than twenty years of experience developing and managing enterprise software, and driving product and client communications strategies.